While the government attempts to make the healthcare more affordable, we can also help to make it more efficient and accurate. This session explains from an engineer's prospective how we can contribute to this industry and make the technology more meaningful to the people. In this session, we will discuss how to use HL7, ICD-9, CPT, SNOMED, RxNorm with RESTful service, Rule Engine, SharePoint, InfoPath, ASP.NET, and other technologies to implement clinical alerts, risk scoring algorithm, and better workflow. There has never been a better time to use technology to improve patient healthcare than right now. Come join us for the discussion! There are a lot of different gaming frameworks out there, but one of my favorite is Construct 2 from scirra.com. Come see how easy it is to build games for Windows 8, Windows Phone, and just about any platform with this awesome tool! Do you know how to deploy apps retail mode? How can I load symbols/debug information when I can't seem to debug my web app source code? How can I easily develop my web app membership providers to support all of Microsoft's database engines? Developers are notoriously lax with including security in their applications. In an age of hacking, this talk aims to arm the developer with an arsenal of protections to use while developing. This presentation explores the most common attacks on web applications, how they work to exploit your app, and most importantly, how to protect against them. Techniques such as Cross Site Scripting, SQL Injection, Session Hijacking, and Cross Site Request Forgery will be covered. ASP.NET Web Forms and MVC will be covered, as both have pros and cons that will be explored. We will start with a 'broken' application and secure it throughout the presentation. Leave this presentation empowered to immediately start protecting your applications! Movements for peace, safe food, healthy environment, and more suggest that many are feeling the splinter in their minds and are now seeking to take and share the red pill of truth. Come learn the top AngularJS tips to improve your workflow and enhance your AngularJS experience. John will talk about 'Best Practices', debatable approaches, and code smells that he's found from teaching and training on AngularJS since it hit 1.0. ASP.NET Web API is a framework that makes it easy to build HTTP services that reach a broad range of clients, Web API is a key part of ASP.NET MVC 4 and the platform of choice for building RESTful services that can be accessed by a wide range of devices. ASP.NET Web API provides a simple, robust security solution of its own that fits neatly within the ASP.NET MVC programming model and secures your code without the need for SOAP, meaning that there is no limit to the range of devices that it can work with – if it can understand HTTP, then it can be secured by Web API. These SOAP-less security techniques are the focus of this talk. In this presentation, we will discuss WebAPI based Authentication and Authorization, Working with SSL Preventing Cross-Site Request Forgery (CSRF) Attacks, Securing ASP.NET Web APIs, Enabling Cross-Origin Requests in Web API and OWASP Top Ten risks for 2013. In this presentation we'll introduce CoffeeScript, why you might be interested in using it, provide code examples, etc. Dan Yoder is the "Chief Panda" at PandaStrike.com, a Node.js consulting company in Los Angeles, and a co-organizer of the Los Angeles CoffeeScript meetup. For the past few years he has focused on rich client, high-performance Web and mobile experiences and lightweight solutions for big data using CoffeeScript, Node.js, and a stack of innovative open source technologies. If you are serious about front-end development and your time is important to you then you must do LESS. LESS is a CSS framework that enables writing CSS stylesheets with much less code by way of variables, mixins, and other LESS features that promote reuse and eliminate style rule repetition inherent in static CSS stylesheets. Such streamlined code is easier to understand, modify, and maintain. In this workshop you will learn core features of LESS. At the end of the workshop you should be able to substantially reduce the amount of code needed for your CSS stylesheets, use LESS with media queries, and know how to compile and then apply LESS files to your website. Presenter is a programmer who must make sense of CSS stylesheets prepared by designers or other front-end developers. LESS is the answer for me and to all programatically inclined to introduce better organization and logic into the styling. We've all heard stories of how one deployed a NoSQL database and it saved the day or how deploying a NoSQL data store has helped solved some scaling issue. I don't claim to be an expert in the field of database because I have many heros in this field who are all better than I am. I am offering to do the leg work for the community and do the research on the inner workings of the distributed non-relationship data store that are out there. I want to share my findings and hopfully we can all develop a much better technical understanding on the technology. Primarily, we will examine the design philosophy of Amazon DynamoDB and how its design is reflected and has influenced other solutions out there. In this session we will look at Service Stack as an alternative wait to publish services. Service Stack is an Opensource .NET and Mono REST Web Services framework that has few dependencies making testing and portability easy. Come Learn about where Angular JS is going and what to expect in the future. Ever wondered if you have ADHD? Even if you don't you will gain from this presentation. Many of the individual challenges presented by ADHD are shared along with strategies 2 succeed at moving past those challenges. Software Engineering is one of the professions that individuals with ADHD gravitate towards. But 80% to 90% of Adults with ADHD do not know they have it. Do you? Every experience of it is unique. Want to successfully navigate past its challenges in work and outside of work? Free tool offered for ADHD and NON-ADHD alike designed for Software Engineers to create custom effectiveness improvement plan. How are others using this data and how can we structure and use it? We introduce network/graphical data, its features, how to represent it, and how to compute on it. As an example that you can use in your own software, we will develop a critical, but simple and practical algorithm that calculates a best path over relationships (Dijkstra's shortest path algorithm). Victor was the first project manager and Agile coach hired at SendGrid. He was tasked with getting everyone trained in the early days (with less than 12 engineers), and he has seen many changes big and small as SendGrid has scaled staff up to over 175 employees. Victor (a USC grad) still coaches Agile practices and trains new hires throughout the year. He also serves as a scrumaster and is active in the Agile/Lean community. This presentation will lay out SendGrid's history with Agile/Lean and highlight the pitfalls and successes along the way. In this presentation we will be going through the steps on how to create a basic web site in NodeJs. In this presentation you will learn about the basics of NodeJs, Express (a web framework based on Ruby’s Sinatra), Jade (a template engine that renders html), AngularJs (a front end js MVW framework) and MongoDB (a NOSQL database). The presentation is targeted to those who have worked in other frameworks and have been interested in learning about node. Be prepared to learn and be amazed at how symple thing can be when there done right. 'Hacking' glass - what else can you do with an Android-powered computer on your head? Feel free to stick around afterwards to try Glass for yourself if you haven't yet! Time permitting, I will also discuss technique in converting real-world problems to LINQ queryable problems. Releasing from TFS up to production is now possible. InRelease, a release management tool, which was recently acquired by Microsoft, is meant for bridging the gap between Development and Operations by providing a clear, repeatable, automated deployment procedure. InRelease serves as a Continuous Delivery solution for .NET teams that automates the release process from Visual Studio Team Foundation Server (TFS) up to production for faster and simpler deliveries. With pre-defined release paths, InRelease automatically deploys your application as a whole to multiple environments. Based on a business-approval workflow, InRelease improves coordination and communication between development, operations and quality assurance to make release cycles repeatable, visible, and more efficient. InRelease leverages the TFS integration platform to support multiple release scenarios from TFS and provide a complete release solution. In this session, we will show you how InRelease can help by automating deployments from TFS up to production to make release cycles faster, repeatable and more efficient. We will first review common development release scenarios, introduce related topics and terminology and will then go into more details on the Release Management tool itself by doing a walkthrough. With 3d printing becoming affordable enough to buy a printer for the home, there is a lot of excitement for what is possible. Learn how these inexpensive 3d printers work, and how they compare to the much more expensive commercial offerings. I will also quickly show some tools to create 3d designs you can print, and some of the constraints designs must follow. Mobile is the future, but it is a lot of work to support all of the different device architectures out there. Is there an easier way? YES! PhoneGap, when combined with Backbone, it becomes a cool way to build apps which can run on nearly every popular mobile platform. HTML5 at one point held the promise of being the unifying platform for desktop and mobile devices. Then big name companies seem to turn their backs on the platform in droves. But don't don't despair, HTML5 isn't dead, in fact it is still a great choice for many mobile applications. One of the biggest challenges with Voice User Interfaces is of course the correct and instantaneous recognition of a spoken input. A verbally responding mobile application has many obvious advantages. For instance, users don't have to decipher tiny fonts on small displays, in fact, they don't have to look at the display at all. Time to market is critical in mobile application development, and new cloud-based technologies are here to help you get your apps out the door faster. By abstracting back-end operations and using a powerful SDK, Windows Azure Mobile Services allows you to focus on creating beautiful native User Interfaces on the web (HTML 5), iOS, Android, Windows Phone and Windows 8 devices and coding custom logic for these platforms. In this presentation, Eugene Chuvyrov will demonstrate how a single backend hosted on Windows Azure Mobile Services powers both iOS and Windows Phone devices. Taking advantage of the data from Dun & Bradstreet Developer Challenge, he will show a mobile CRM system that they created for these platforms. In this session will create a sharePoint Site Collection and a Project Collection in Team Foundation Server. Set permissions in SharePoint and Team Foundation. Create a team project in Visula Studio 2013. In this session will pick up from where session 1 left off. Will demonstrate the installation of Team Foundation Server, SQL Server 2012 Report Server and the installation of Team Foundation Server Extensions for SharePoint Server and Project Server. 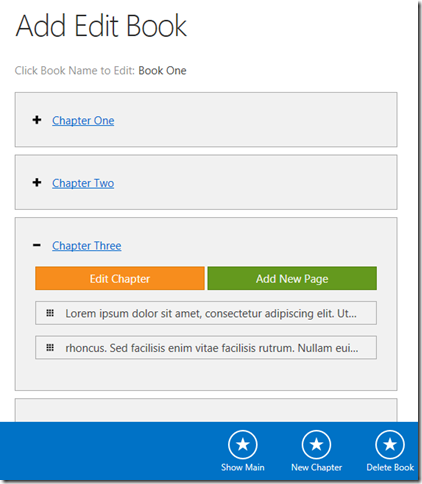 Create a Project Web Application on SharePoint Server 2013. In this session will demonstrate on how to install SharePoint Server 2013 and install project server. Also will explain what service accounts are needed to be used and what permissions are needed. Note: An understanding on how to setup an administer to domain networks will be assumed. Unity is the premier advanced platform to develop stunning 2D and 3D applications for all major platforms. Microsoft and Unity have partnered together to provide first class support in the Unity platform for Windows 8 and Windows Phone applications for free to the developer, rounding out support for every major platform. Come learn about the basics of Unity, the UI, assets, code, ways to develop, and some simple but powerful game techniques to get up and running fast with Unity. Organizations today want to be more responsive to their marketplace opportunities, more productive and more efficient; they want to be agile. Many have implemented agile practices for improving software development. But if you want to move out of traffic and into the fast lane it requires leadership that emphasizes creating, satisfying and delighting customers every day.</p> <p> This session focuses on leadership techniques for delighting your customers that you can take back and put to use. You will learn how a culture of delighting customers is built around a work force characterized by high levels of productivity, continuous innovation, and elevated levels of sustained motivation and job satisfaction. Your customers are your lifeblood; it&rsquo;s not enough just to satisfy them. You need them sharing their delight with others, sharing opportunities with you, and coming back again and again. Move into the fast lane! Focus your organization on delighting your customers on a continuous long-term basis. It's hard work but immensely rewarding. Want to grow your own food at home? In this session I'll show you how to set up your own backyard aquaponics system. Learn how to maintain fish, and plants in a symbiotic relationship to help you grow food fast and nutritious. Want cleaner views? Code cluttering up your views? In this session I'll be talking about my new view engine, Parrot. You can also speed up development of your AngularJs applications by using Visual Studio LightSwitch to code your model. To complete your MVC application, you only need to create the WebAPI controllers and the views. This session is sponsored by ComponentOne http://ComponentOne.com and their Studio for LightSwitch HTML will also be demonstrated. Michael Washington is a ASP.NET, C# programmer. He has extensive knowledge in process improvement, billing systems, and student information systems. He is a Microsoft MVP. He is the founder of the LightSwitchHelpWebsite.com. He has a son, Zachary and resides in Los Angeles with his wife Valerie. In search for the best deal, hacking with powershell. Like HTML5 apps, this is a hybrid session. We will start with a demo, then move onto a discussion about what you will need to know, and then finally we will use code examples (HTML5, iOS, Android) to explain how the demo works. If you are new to unit testing or need a refresher, this is for you. This session will define unit testing (and what it is not), explain justifications for using it within projects, and best practices. Supplemental items, such as mocking, will also be covered. Java/JUnit will be used in examples, but the fundamentals apply to all languages. When we start on our quest in creating a solution that solves what business wants from us, it is our best intent to come up with a simple system. And sometimes, we are blinded by the simplicity of the code itself in calling these "services" in a synchronous fashion. But by doing so, we unintentionally mask the availability concern. Yes, calling a service with three lines of code is indeed simple looking and easy. But, it hides a lot of What-ifs. What if the service is not up? What if the client called the method and the service operation is executing and the operation timed out on the client side, but the operation completed on the server side? What if this was a web service in a land far far away? Should we need to retry the failed operation? Can we safely retry the operation? And this brings us to the land of temporal coupling. There are many information regarding SPA out on the web but most lack critical information about how to make SPA work for Enterprise solution. In the context of SPA and WebApi, the topics will include choosing proper SPA frameworks, Authentication, Authorization, Logging, Exception Handling, MVVM, Deployment, Debugging, and Testing. You want to build a Windows 8 app, but have minimal (to no) experience? Katherine & Christine will teach you! Join them as they introduce you to the basics and more! They will be using Windows 8.1, Visual Studio 2013 RC, and XAML/C#. Mobile, cloud and "Big Data" applications require distributed computing. This talk will discuss a hybrid database model whereby scale-up relational technology and scale-out "NoSQL" technology are integrated to deliver significant benefits for a new generation of applications and how "Big Data" insight can be gained using techniques like Map Reduce. Best Practices for Setting up Codeception. Everyone from developers to QA understand the need for testing. In this session, we will break down the use of Codeception for Automated PHP testing. Not only will we be writing basic tests, but we will break down useful approaches to setting up and standardizing the test environment. Are you having difficulty managing your projects? Are you about to enter the uncharted territory of project management? Do you know how to communicate effectively to your customer, teammates, and your management? Come early, sit close and get some common sense, experienced based tips and pointers on how to improve your soft skills. Discover how to find the ‘right’ people for your team. Learn the practical elements of working with customers, people, technology, process, and “connecting” them successfully to be more effective at your job. You will leave with demonstrable actions that you can apply at your next day back at work. The era of Big Data is upon us. A key requirement is extracting useful information from unstructured text containing natural human language. Learn how to process and display text using GATE (General Architecture for Text Engineering), Lucene, and Ratpack. As a bonus see how Groovy can speed up your work over using plain Java. The applications that I'll use to demonstrate these techniques are analyzing source code, comments, and related text. Specifically Javadoc comments from Java sources and package descriptions from RPM packages. So if you're interested in metaprogramming, then don't miss this talk! * host your own private nuget server on premisis, or use a nuget-as-service provider to host a private feed for you. I'll show this all to you during this session. You've probably noticed how certain people grab all those immediately-sold-out tickets by sniping them as soon as they're on sale. Learn how to do that programmatically with Node.js! Web scraping is a sensitive topic, but it can come in very handy if websites don't have a public API. Learn how to parse through HTML, extract structured data, get information that you need, and check for changes you care about. Timothy Strimple has worked with and for startups for over ten years as a Software Developer, and later as the Director of Software Development, managing teams of developers. Tim has a broad background in many technologies and languages from Apache & PHP to IIS and ASP.NET to Node.JS, as well as both front end and back end web development. In 2012, Tim joined Microsoft as their Startup Evangelist for SoCal. In this role, Tim is a technical resource for startups as well as a liaison between Microsoft and the startup community. This session gives a quick intro Unity game development, enabling people to build their first game! Using Brakeman (a static analysis security tool) can help find potential security vulnerabilities in Ruby on Rails, but it still requires a human to investigate the warnings. Once a warning is determined to be a real issue, fixing the issue can be straight-forward and obvious, or it can be completely unclear what should be done to rectify the situation. In this session we will go through running Brakeman, interpreting the results, investigating warnings, and fixing them. Then we'll discuss how to use Brakeman with continuous integration to prevent these types of vulnerabilites from reaching production. This talks will cover the OWASP top 10 with explanations of the problems and potential solutions. There will be live demos and actual code to demonstrate the attacks and fixes. Often web developers have a hard making a website look nice and pretty. Bootstrap HTML/CSS framework was invented to help those struggling with design skills and using it can accelerate prototyping of web applications that work on screens of any size. Bootstrap implements responsive design and makes it very easy to be in control how you want your application to look like. In this session creator of the most popular website for Bootstrap snippets (bootsnipp.com), Maks Surguy will introduce you to Bootstrap HTML/CSS framework that makes designing user-facing parts of a website easier and he will guide you through the essential features of Bootstrap that will immediately make your sites look a whole lot better. By attending this session you will learn about Laravel PHP framework, why it is powerful and how you can leverage its advantages to build your next web application quickly while having lots of fun developing. In software development we rarely work as an individual. Functioning as a team of software developers is hard. In many “teams” you simply split up the work into individual chunks and work on each part separately and then at the end try and merge all the various code branches back together. Not only is this hard, it also results in certain parts of a code base being “owned” by an individual. Get a better code base, as multiple brains evaluated it as it was created. Everyone on the team can work on any part of the product as they all wrote it. Specialized knowledge gets shared with the entire team bringing the collective value of the team up. Best practices will be more closely followed as there will be no “sneaking in” of bad code. So bring your laptops, and your brains were going to build something beautiful together. In the Get Mobbed-Up On This sessions we will be focused on solving problems as a team. Since the sessions are short, the end result is not to ship working code (however we usually do), but rather the lesion we will be learning is how to program as a team. ASP.NET MVC is a great framework for building web applications on the .net platform. In this talk We will start with an introduction to core concepts needed to build an asp.net mvc web application. We will look a the MVC design pattern and go over how the framework renders a page from start to finish.We willbuild a working application that will explain routing, controllers and views. We will also interact with a database via the Entity Framework Code First and look at how you can persist your data to the database. We will also cover some best practices, tips and resources you can use to further learn about ASP.NET MVC. This will be a code heavy session with lots of examples. With the rapid evolution of our data driven, interconnected world, the demand for technologies such as NoSQL has never been greater. Whether it's building a “greenfield” application or migrating an existing application, achieving web scale can still be a daunting task. Existing patterns such as N-Tier and its evolution, the Service Oriented Architecture (SOA) suffer from serious deficiencies in performance, complexity, and maintainability. Fortunately, the next evolution in distributed application patterns is here. This session will introduce the Mission Oriented Architecture (MOA) and illustrate its clear superiority through FatDB, an example of a mature, battle hardened, distributed application platform. Participants will be both entertained and educated as the presentation explores new ways to reduce the total cost of ownership, complexity, and time to market. The audience will also leave the room having gained an introduction to the new “state-of-the-art” and a comprehensive toolbox for building flexible and scalable applications. Bring your laptop to try out a koan (puzzles for learning). A Koan is a set of failing unit tests. Learning by doing with koan puzzles is fun, engaging, and produces remarkably quick results. Koans can be used to learn a variety of programming skills including languages and APIs. This session will challenge you in group and individual settings to complete these puzzles to get the unit tests to pass. After you decode the puzzle, we will reflect on what and how you have learned. Finally we will look into how to create your own koans for your particular testing needs. In this talk DevConnections Dev Chair Chander Dhall will not only discuss the best practices of REST API development but will also show you examples using REST API on how to create search solutions using WEB API. No background on REST or Search is necessary for this talk. You will walk in a beginner and leave as an intermediate to expert developer in REST. Do you use jQuery or use jQuery right? Do you understand jQuery performance well? What about performance vs flexibility? In this code intensive talk, Chander Dhall, demystifies jQuery performance, flexibility and demonstrates some not so common techniques which will make your life as a web developer amazing. What makes you a better coder? What makes you a professional coder? If you want to have an edge over your fellow developers - this session is for you. If you wonder how you can become a better developer - this session is for you. This is an interactive session for and about living and breathing code. This is the fun part. Now that we know the basics of Responsive Web Design, we will dive into the code and build a fully functional responsive website. Come joins us to go over the basics of Responsive Web Design. In Part I of this two part session, we will cover all the components that make a website responsive. We will talk about Grid systems, Media Queries, Front-end Frameworks, Resizable Images and much much more. This session was a complete success at the SoCal CodeCamp in San Diego. Come and see why. Also, check out the slides for this presentation. This session will begin with a brief overview of Ruby along with its history. Then we'll pull out our laptops and build a basic web service. Up until the past few years web based multiplayer games only existed within the realm of flash or other pluggable browser components. With ASP.NET SignalR and EndGate, HTML5 multiplayer games can now be created with ease. Come dive into game development where you'll learn the basics of creating games for the web. In this session I'll cover the basics of Ruby on Rails framework, and we will build a quick blog! As engineers we find that communicating with business users is difficult. In this talk we'll show you how combining the messaging pattern with simple, expression based specifications can improve that communication. We'll start at the domain and work our way up to the application services. As engineers we find that communicating with business users is difficult. In this talk we'll show you how simple, expression based specifications can improve that communication. We'll start at the UI and work our way to the application services. The demo will use NancyFx w/ Razor as the web layer; however these techniques should be applicable to any framework.